Joss pool cues take the business of cue making very seriously. Founded by ACA Hall of Fame cuemaker Dan Janes, Joss cues are one of the most sought after brands in billiards. Always looking for ways to improve the playability and beauty of a pool cue, Janes continues to preserve the traditional look and values of old-time pool cue making while producing cues that play among the best in the world. Each Joss pool cue is marked with a unique serial number on the joint to increase value and distinctive character. A Joss cue is a real family effort which results in a company that cares about its products and customers. 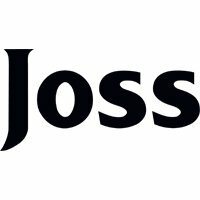 Don't forget that every Joss Pool Cue qualifies for Free Ground Shipping in the lower 48 United States! PoolDawg.com is proud to be an Authorized Dealer for over 25 models of Joss pool cues.